The next meeting of Presidium of ANAS was held on February 6. 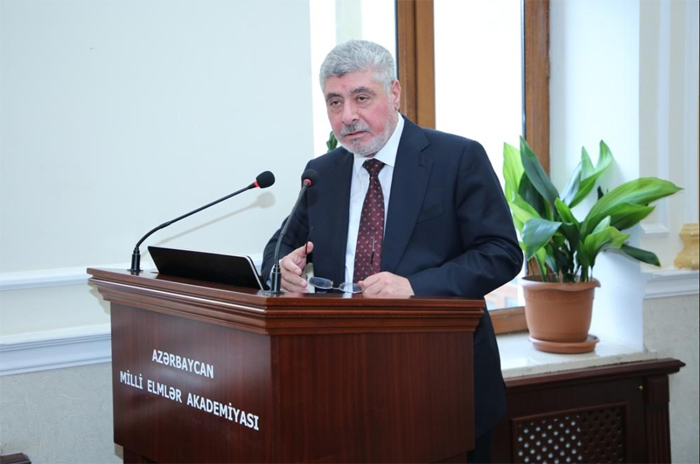 Opening the event, academician Akif Alizadeh familiarized the participants with the issues on the agenda. Firstly, the scientific and scientific-organizational activity of the Humanitarian Sciences Division (HSD) for 2018 was considered. 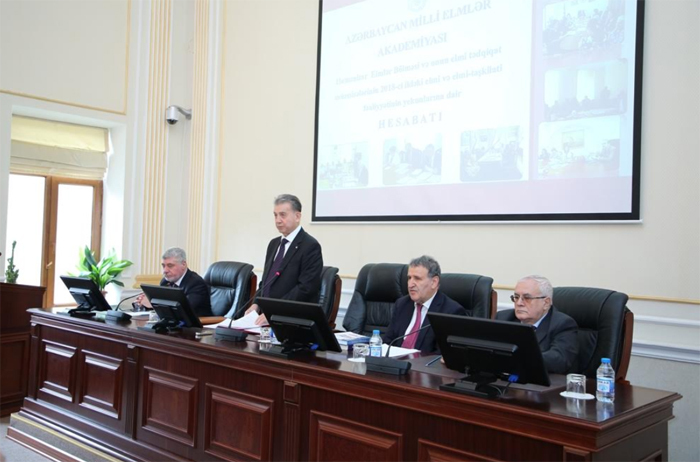 Academician Teymur Karimli, academician-secretary of the Division, speaking at the meeting, said that state programs and decisions of the Presidium were taken into account in the activities of scientific institutions included in the reporting year. 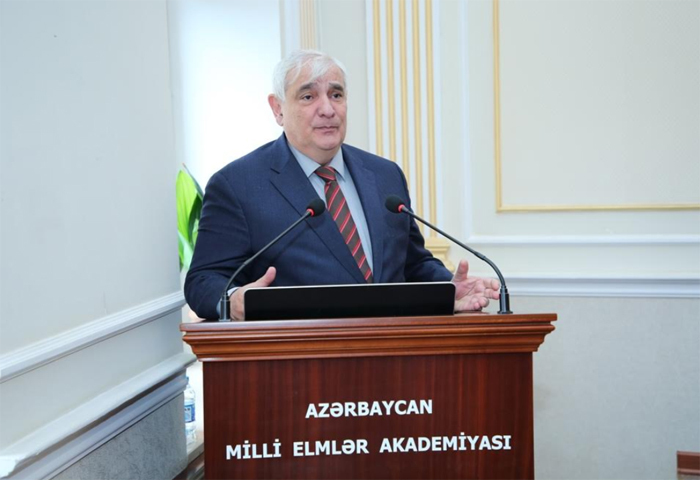 The scientist talked about the issues on President of the Republic of Azerbaijan Ilham Aliyev’s decrees “On the 100th anniversary of the Azerbaijan Democratic Republic”, “Declaration of the year 2018 as the "Year of the Azerbaijani Democratic Republic", "100th anniversary of the 1918 genocide of Azerbaijanis", and other decrees and State Programs. According to the statistical data, the research conducted last year on 82 subjects of 33 problems and 189 phases of 373 cases. 188 out of 213 jobs have been completed in 22 subjects, the scientist underlined. According to T. Kerimli, 5 out of 175 books, 69 monographs (13 abroad), 1904 articles (300 abroad), 225 abstracts (57 abroad) and 37 textbooks have been published. In 2018, department staff published 24 articles in impact factor journals and 655 references in scientific works. Referring to the department's staff preparation, the speaker underlined that in the reporting year 30 were admitted to the doctorate and 19 graduated. 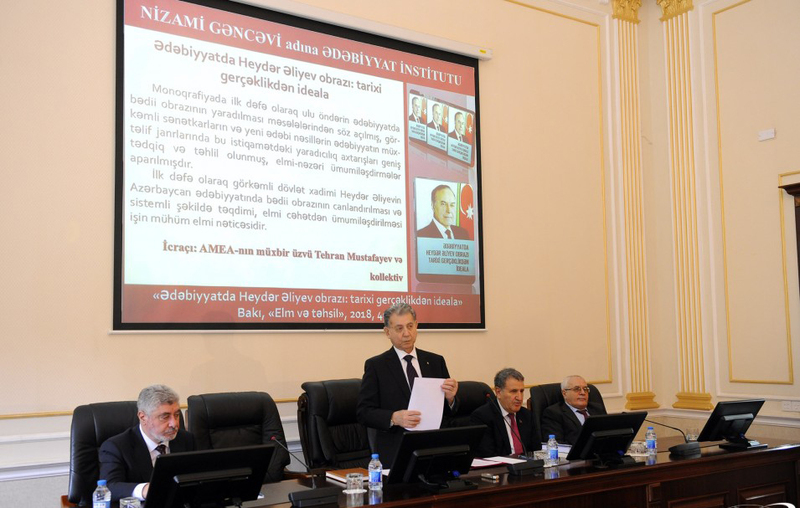 T.Karimli said that 43 defendants were trained on philosophy and doctoral dissertation, and 60 more cases were prepared for defense. The noted resolutions of the Presidium of ANAS and execution of orders of the President of ANAS, structural changes, conferences and jubilees, decorations, foreign business trips, works done in the field of science and education, activities of young scientists and specialists, etc. touched. After report, the questions were answered and the questions were answered. 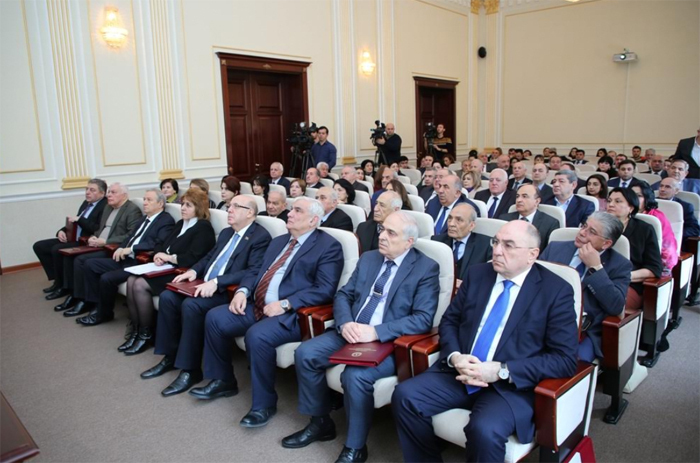 Academicians Isa Habibbeyli, Rasim Alguliyev, Kamal Abdullayev, Vagif Abbasov, Mohsun Nagisoylu, Doctor of History Zemfira Hajiyeva made suggestions. Action Plan of ANAS on the 650th anniversary of Imadeddin Nasimi was also discussed at the meeting. 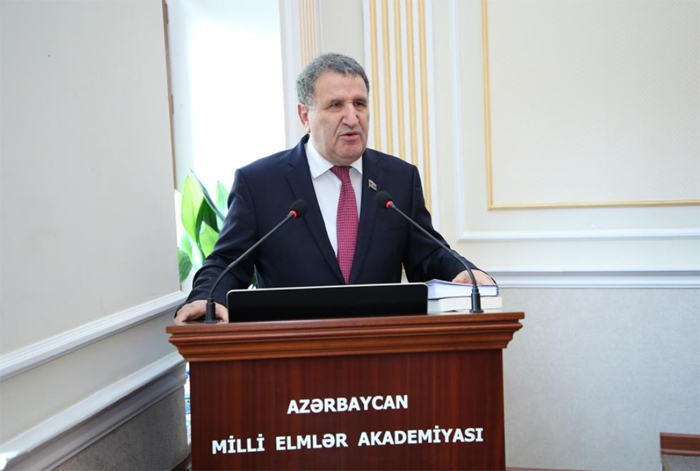 Presidium approved the Action Plan of ANAS in connection with the 650th anniversary of the great Azerbaijani poet Imadeddin Nasimi and gave relevant instructions.